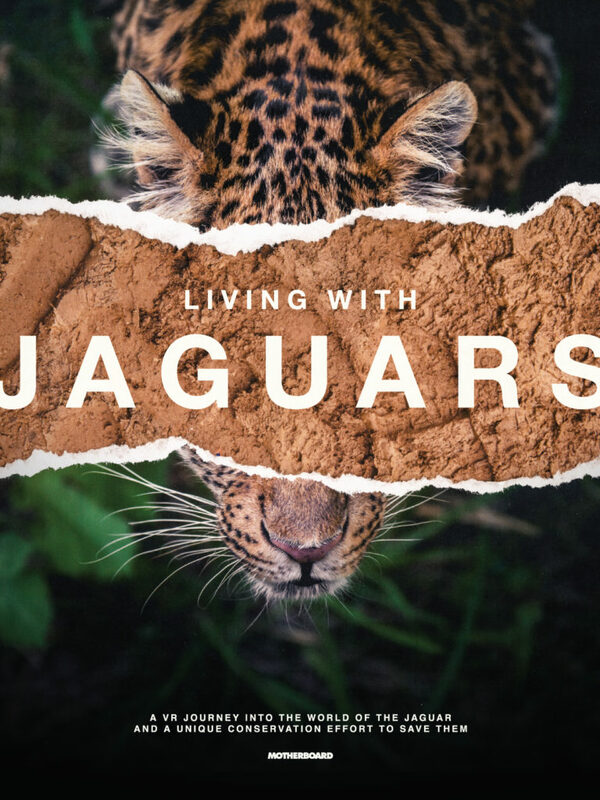 Living with Jaguars is a VR Experience directed by Patrick McGuire and Jeff Orlowski that was designed in partnership by Occupied VR and Motherboard-VICE. It is an interactive VR film that documents wild jaguars in a rural region of Brazil. There have been tensions between jaguars and ranchers in the area for a long time, and the population of jaguars is dwindling. The film explores the perspectives of jaguars, ranchers, conservation researchers, and ecotourism operators. The experience begins with a scientist and rancher talking about growing up and hearing jaguars described as almost mythical. Another scientist and the original rancher/scientist go on to describe the habitat of the jaguars, and what happened to lead up to the crisis that currently exists. Living with Jaguars, VR Journey. Image from IMDB. Throughout the experience, you hear the perspectives from other local ranchers, a biologist who works as a conservationist for “neotropical predators”, and the two scientists from the introduction. It also dives into the efforts of Panthera, a local conservation group that helps keep jaguars from being driven out of their natural habitat. Getting continued perspectives from the same main people allows you to get a more in-depth description of the real issues that plague the jaguar population, and the other groups in the area. The characters involved really helped drive the story. Being able to provide a 360 perspective not only of what it is like to be physically present in the area, but what people of each group involved go through is powerful. Emotion is also provided through the use of many pictures of people showing off jaguars they have killed as trophies – which can really get to the viewer – and the passion you can see in those trying to have a positive impact. 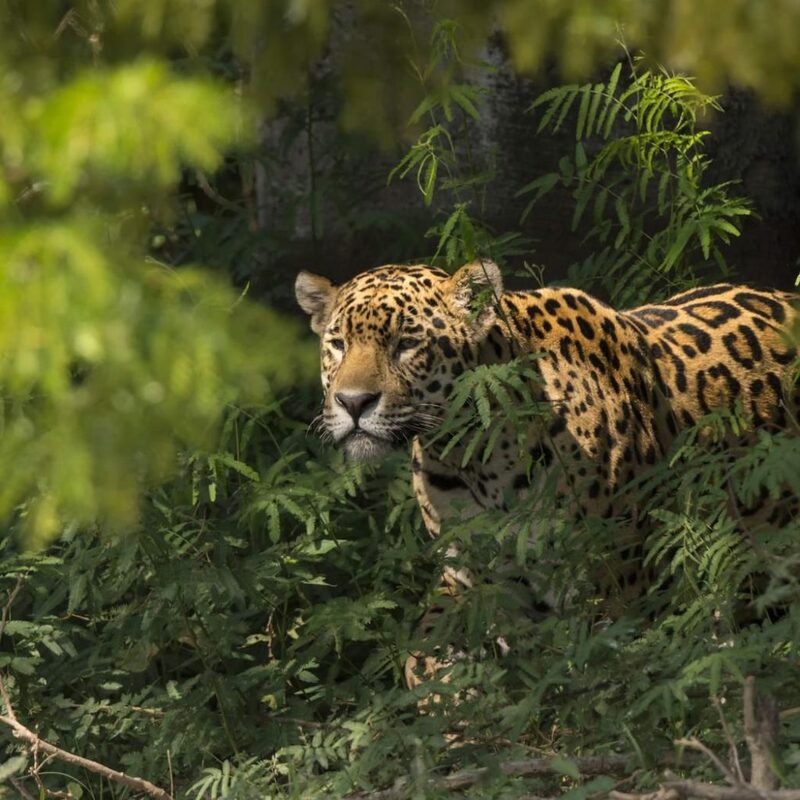 In fact, the scientists talk about a jaguar that has shown up on the camera-traps they have in place for the last five to six years they have named Fumaca (Fu-mas-a). I found this to be a key part of the experience, because personifying jaguars can influence people’s opinions on them for the better. The videos and images provided give a good sense of the tension in the region between ranchers and jaguars. You see ranchers not only having large fences to separate their property from the outside world, but having to add electric fences and barbed wire to that for protection of their herd. Some ranchers have even added water buffalo to their herds for additional protection. Jaguar resting in the forest. Image from Discover Wildlife. The story did follow a narrative structure. As I briefly already mentioned, it begins describing the history of jaguars in the area, and what is currently going on with them. It then heads into the ranchers’ perspective of dealing with jaguars in the old days, and how there are efforts being made to change that. Eventually, more detail is given into what the conservation groups and workers in the area are doing to better set up jaguars for the future. 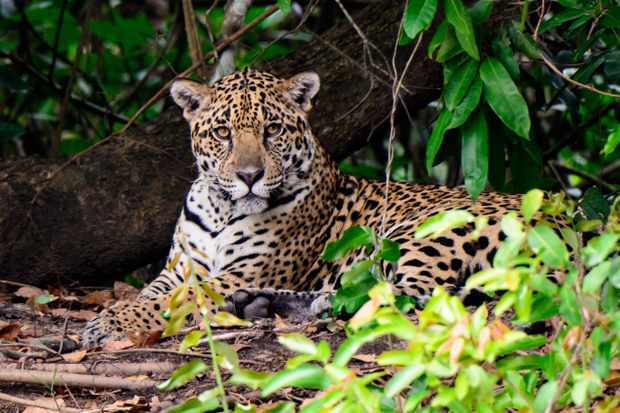 Finally, the impact that Ecotourism has on conservation efforts, and the relationship between jaguars and humans is discussed. The editor did a great job at informing the viewer of what was upcoming. Each section of the story was set off with a fade, followed a black screen telling what the next “chapter” would cover, and ended with another fade back into video. Also, when looking at bunches of photos at a time. there was a black screen with photos popping up in all directions, giving the viewer something to look at from every angle. These scenes lasted a pretty long time, providing more than adequate time for the viewer to see each one and be impacted by them as a whole and individually. The stationary shots included in the experience were fantastic. The quality was great, and provided a view that you will not get to experience in real life. Seeing jaguars walk feet away from you, even up to you and looking into your eyes in some instances, was thrilling. Being right in front of all the people involved also was a unique experience. Audio was good as well, and really added to the scenes of surrounding photos and videos where not much action occurred. While the video had plenty of strengths, and was one I am a fan of, it also had some weaknesses. To start, some of the clips were too short. We talked about not having adequate time to look around during some of them being a common problem in VR scenes, and it is truly a shame that it occurs so often still. Hopefully we’ll see even more improvements in this area sooner than later. Jaguar staring off into the distance. Image from Pinterest. Another weakness was that there were moving scenes, and quite a lot of them. They weren’t the worst to watch when viewing the experience on a laptop, but they can really mess with a viewer’s head when in the headset. Not every scene messed with my equilibrium, but some did, and I had to remove the headset a few times before continuing. The experience was nearly 22 minutes long, which is another weakness. But as it was a documentary, much more than a typical VR experience, this is to be expected. An upcoming documentary experience regarding Eminem’s life in Detroit is a similar length. The length, while not ideal for a regular VR scene, is fitting for the situation. Overall, I thought the experience was solid. It would have been way better without moving shots, but generally it got the objective – giving people a view of all parties involved in the jaguar conservation of Brazil – it was intended to complete accomplished. You find out more about Panthera by visiting their website, and watch the experience yourself on YouTube.